Solar system installed by Energy Trust trade ally Imagine Energy. Before adjourning on March 3, the Oregon state legislature enacted several new, significant energy policies, including the following two that have the potential to affect Energy Trust of Oregon programs. House Bill 4037 directs Business Oregon to establish a half-cent per kilowatt hour incentive for solar energy generation projects. While there are no limits on project size, there is a 35 megawatt cap for each subscriber and a 150 MW cap for the program before it sunsets in January 2017. While future projects are precluded from participating in Energy Trust program incentives, there are potentially a couple of projects already in Energy Trust’s pipeline that could benefit from the program. The bill awaits Governor Brown’s signature. The Oregon Clean Electricity and Coal Transition plan (Senate Bill 1547) was signed by Governor Brown and took effect on Tuesday, March 8. At the broadest stroke, the bill requires utilities to acquire 50 percent of their electricity from renewable energy sources by 2040 and phases out investor-owned utilities’ ability to sell coal-fired electricity in Oregon by 2035. While those provisions are certainly noteworthy, several others have more direct ramifications for Energy Trust. By 2025, 8 percent of Oregon’s investor-owned electric utilities’ “aggregate electric capacity” must come from small scale (20 MW or less) renewable energy generation projects or biomass facilities that generate thermal energy for a secondary purpose. While the rulemaking process and the Oregon Public Utility Commission will ultimately determine how much renewable energy generation the 8 percent will amount to, it’s predicted it will lead to a substantial number of new renewable energy projects. 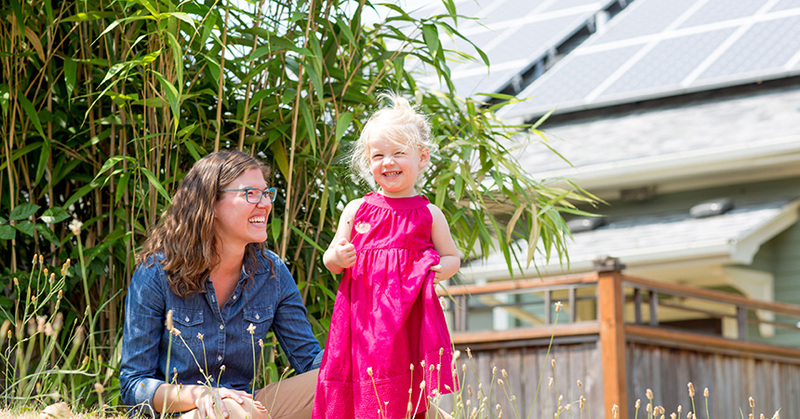 As many Oregonians are precluded from installing solar generation on their property due to the orientation of their roofs, the trees and buildings around their homes or because they don’t own their own homes, SB 1547 establishes a community solar program to allow Oregonians to invest in and receive the benefits of solar electricity. The program permits subscribers to invest in, or collectively own, a portion of a solar electric project at least 25 kW in size and requires the utilities to enter into long-term power purchase contracts with project owners. Utilities can also own and manage community solar projects. Notably, 10 percent of the total generating capacity of these community solar projects will be available for use by low-income residential customers. Recognizing that energy efficiency is the least-cost resource to meet our energy needs, SB 1547 directs investor-owned utilities to plan for and pursue all cost-effective, reliable and feasible electric efficiency and cost-effective demand response resources before acquiring new generation resources. This requirement strengthens Oregon’s decades-long commitment to energy efficiency and the linked benefits of lower utility bills, comfortable homes, competitive businesses, a cleaner environment and a robust economy. Administrative rulemaking will determine how these new laws will affect Energy Trust programs, and one thing is for certain, these policies will continue to boost Oregon’s leadership in clean energy.